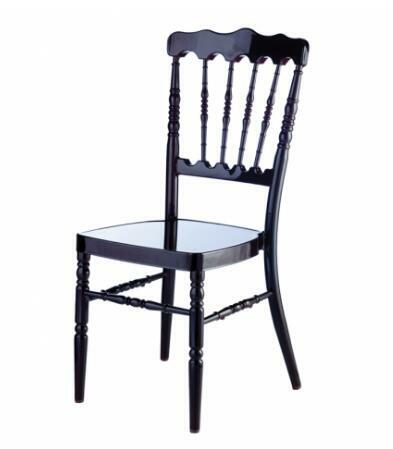 Perfect for use at wedding event centers, in the hotel ballroom, dining hall, patio, or anywhere a classical look is desired, Aluminum Napoleon chairs combine refined elegance with unmatched durability and ease of handling. Weighing less than 8 lbs yet possessing the ability to withstand over 1,000 lbs of static load, these chairs can support more than 125 times their own weight. The 100% welded aluminum frame eliminates chair sway so common among other event seating chairs on the market to provide peace of mind for facility owners and their guests.